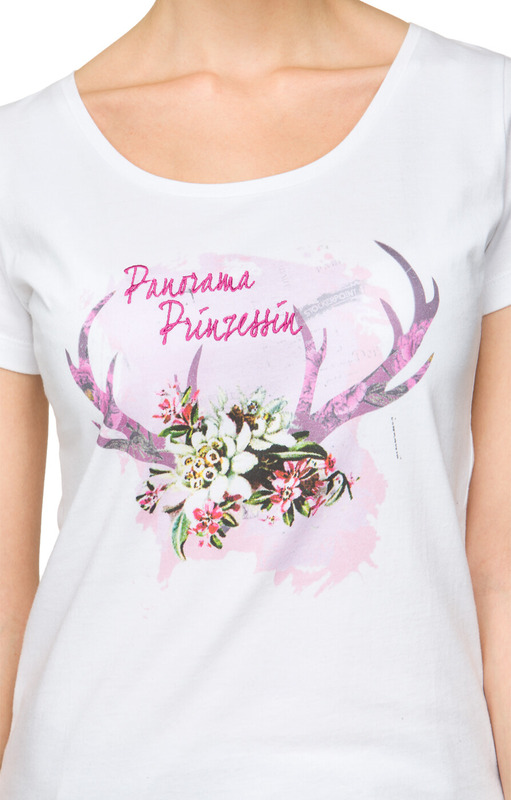 Trachten T-Shirt Nora in White. 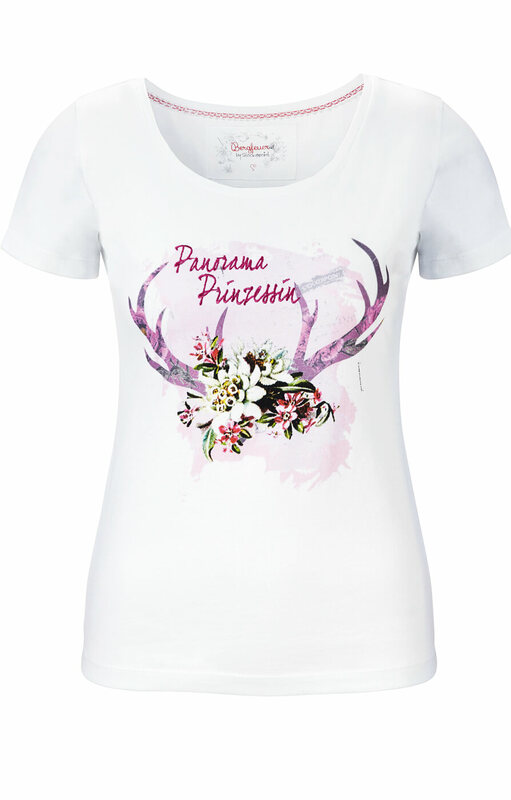 With its sporty styling, the Aplinekönigin Trachten T-shirt Nora in white would be perfect for après-ski - or any day in the great outdoors. 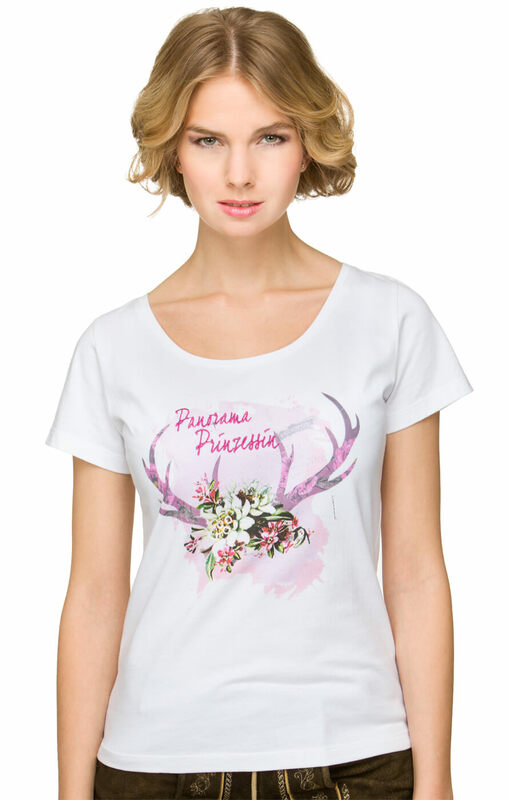 It comes in a classic white tone, offset by a dash of colour in two of Stockerpoint's hallmark designs: the stag antlers and a bouquet of edelweiss blossom, the emblem of the high Alps. It's relaxed, comfy and easy to wear - combine with jeans and knitted tops for a great look.